Wonderful to be clean and from the earth~! 5 Ways To Fight Wrinkles…With Roses? Valentines Day Love <3 RRR!!! Thanks for the <3 Varia during this sweet month! New Body, New Rules. At the end of the day, pregnant women just want to feel like themselves. We’d like to make that part a little easier. My name is Shreen & I wanted to take a moment to thank you from the bottom of my heart for your wonderful products that I can not stop talking about and recommending them to my family and friends! I live in the UAE where it gets seriously hot outside around 45 degrees!! It’s insane! I know! & with that my skin reacts to everything and anything! That’s until I discovered your AMAZING FANTASTIC products! I’m head over heels with them!! I first discovered your products through a friend of mine who’s skin looked amazing and since then I started reading reviews about all your products and the reviews made me fall in love with your products even more!!! Since then I was determined to save up some cash no matter what to buy at least one of your products!! We live in a world that is sometimes tough… and with the financial problems my family and I are facing… It’s hard sometimes to get what I want… Also I have to always ship things I want from the US to the UAE which is an additional costly process! So my mother helped out a lot and having high hopes and determination; I finally collected enough cash to order the “Carrot Rose Face Cream” and “Wild Grains Face Exfoliator” and my best friend was very nice to get me “Rose Face Oil” as a gift. Which btw I fell in love with so madly and actually cried when I got it and thank her everyday for it! Now I can not express how much this helped my face and my confidence so much!!!! I’m a person who is into everything healthy and organic and never use those nasty products full of chemicals that react to my skin and makes it worse, but your wonderful products made my face so much better that it actually glows and people started noticing!! making me feel much more confident and beautiful. I truly THANK YOU for that from all my heart!! Words can not express how thankful and grateful I’m for your genius mind and hands that created these products!! I read your whole site and that how you make these amazing products! btw the packaging is so divine and down to earth!! I love it!! & did I mention that my mom used your products with me and she too got so many compliments on her glowing skin!! We both used up your products to the very last drop!! which made my heart ache a bit knowing its nearly over.. and have to struggle to save up again to get these magic in a bottle products! My friend uses all your products and her skin looks so good! Wish I could use every single of your product too!! For now I’m trying very hard to save up as much as I can to repurchase the ones I got before and like last time my mother is helping out again so she can use it with me and I surely can not afford “Rose Face oil” again which was truly wonderful! & im really determind to save up to buy your “Solid Perfume - Grapefruit & ylang ylang” which looks so amazing!!!!!! & my birthday is coming up soon so hopefully by then I can purchase them making it the perfect gift to myself. I thank you again! I can only imagine all the great feedback you get from people from all over the world. God Bless you Miss Christian Your a wonderful person and so beautiful on the inside and out & my mother wanted me to Thank you on her behalf also! Hopefully one day in the coming future my mother and I each can afford all your products and write again to you with wonderful reviews about each of your product! & maybe meet you one day to personally thank you! Until then Take care and have a wonderful wonderful life filled with great happiness!! Prevention suggests our lip balm to keep those lips happily moisturized this dry Winter season. As if you needed a reason to pick up an Us Weekly…. ROOTS ROSE RADISH & VOGUE THIS DECEMBER!! Apols. for the most recent break. I’m committing to daily (well, week-daily) blogging, so my posts will now be appearing in a far more consistent way. That said, over the next few weeks I’ll be playing a bit of catch up: inundating you with reviews of every single product that is currently a part of my skincare wardrobe! On that note, Today we’ll be discussing the Honey Pecan Rose face cleanser by the amazing amazing amazing brand Roots Rose Radish. I massage this cleanser into moist skin and allow it rest for anywhere from five to twenty minutes before rinsing. You can, of course, rinse it off as soon as you’re done massaging, but I’ve found that when I let this cleanser really work into the skin, it performs miracles. This is my go to cleanser after long, stressful days that leave me looking drawn and dull: it instantly plumps, brightens, and re-enlivens my complexion. As if this cleanser wasn’t already perfect enough, it’s also delicious. I happily welcome the few drops of melted lavender, mint, and rose laced honey that migrate down my face and into my mouth while I mask with this cleanser. An excellent performance from Roots Rose Radish! This cleanser would make a perfect addition to the routine of anyone who’s looking for a stress-blasting, multi-tasking cleanser. COCO ECO LOVES OUR YLANG YLANG & GRAPEFRUIT SOLID PERFUME! Gala Magazine (in Germany) LOVES us! 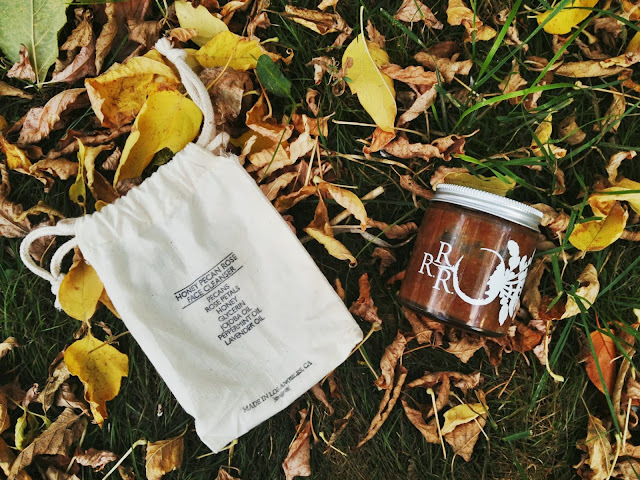 Experienced herbalist Christian Toscano founded Roots Rose Radish on the basis that plants heal. We are fans of this simple organic skincare line. Our new 15 liter Alembic still has arrived! This is how we make our hydrosols and essential oils in our products. In care you are in need of some gift inspiration for your sweetheart…. Lucky Magazine June-July 2013! We are beaming with joy from our Calendula beds!! Canadian Ingrid Rae Doucet curates pretty, organic eco beauty products for her new online shop, Clementine Fields. Our new favorite Canadian stockist shares her beauty tips. Spoiler alert: we are included!